What is a South Dakota Quit Claim Deed? South Dakota Quit Claim Deed: What Is It? 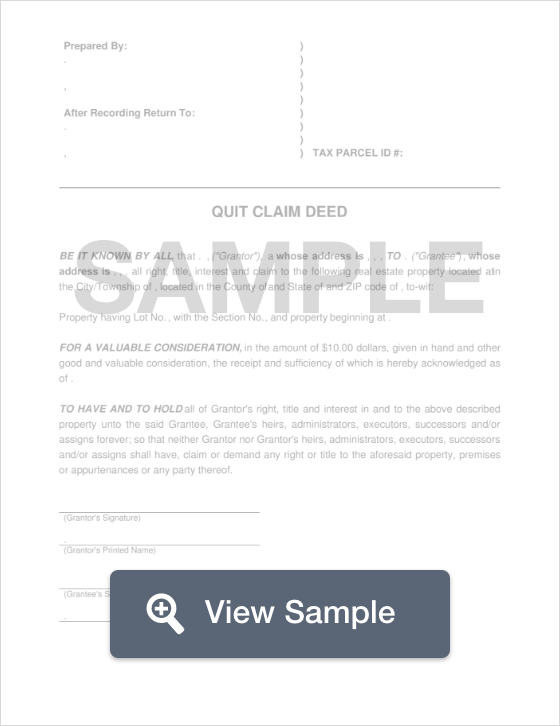 A quit claim deed in the state of South Dakota is a document used to convey the interest of a property from one person to the next in an expeditious fashion. This type of transaction comes with no guarantees or warranty that the title of the property is clear and free of encumbrances. Though a quit claim deed doesn’t provide any type of warranty, it does ensure that the seller or previous owner doesn’t come back at a later date to claim an ownership interest on the property. Although quit claim deeds are common in transfers between family members our spouses, it is important to always conduct a title search before completing a transfer using a quit claim deed. Signing - According to state law, all quit claim deeds are to be signed in front of a Notary Public or a witness that will be signing the deed (§ 43-25-26). Recording - Quit claim deeds, along with their filing fees are to be filed with the County Recorder’s Office. Additional Documents - State law (§ 7-9-7), says that all quit claim deeds must be accompanied with a Certificate of Real Estate Value.